The house built by John Green in 1853 was on the bluff above the mill and dam. It faced south and the wide porch must have been a sunny place to work or relax. Four of John and Barbara’s children were still at home when the new house was built, although not for long. 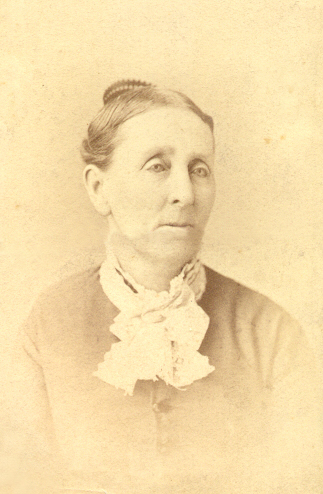 Joseph died two years later; Rachael and Rebecca married, but Isaac stayed in the family home and in 1865 brought his bride, Mary Jane Trumbo, to live there. Isaac worked the farm with his father and cared for his parents in their old age. The farm is still in the possession of Isaac’s descendants. Isaac died in 1904 and his son Lyle took over the running of the farm, with his older sister Maud keeping house for him and their mother. In 1908, Lyle married Eva Duffield and Maud and Mary Jane moved to Ottawa. 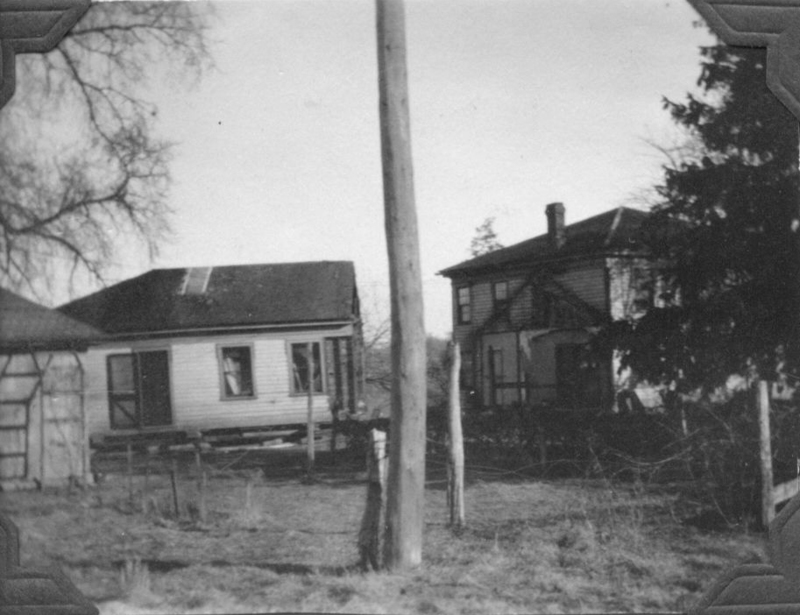 In 1926, Lyle decided to tear the house down and replace it. The kitchen was detached from the house and moved across the road, where it became a house for a hired man. The new house occupied the same site as the old and also faced south. Lyle and Eva divorced and Maud moved back to Dayton to keep house for her brother again. 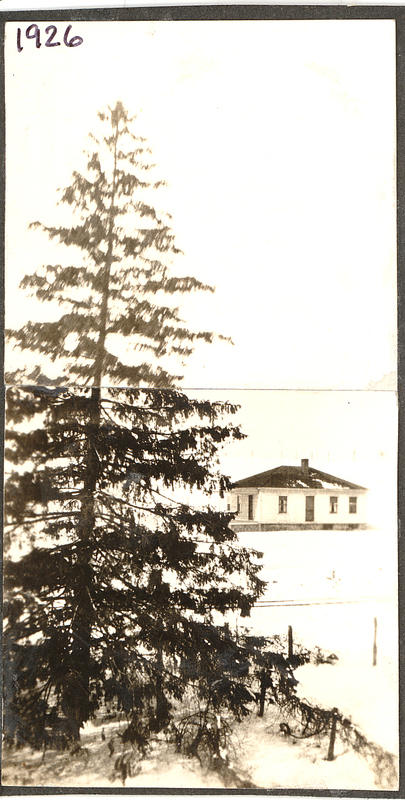 When Lyle died in 1935, his brother Ralph took over the house and the running of the farm. When the Green party arrived in La Salle county in 1829, they had to be self-sufficient as far as food went. There was no McDonalds down the road, nor any grocery stores in the neighborhood. So what did they do for food? How did they provide for themselves? To begin with, there was plenty of game: deer, turkey, prairie chicken (grouse), quail, squirrel, goose, duck, and fish. One highly specialized form of hunting was bee-hunting. A good bee-hunter could find and harvest 30 bee trees a season, yielding 50 gallons of honey and 60 pounds of beeswax. Chickens were rarely eaten, as they were too valuable as egg producers. Only when they were too old to lay did they end up in the stewpot. They didn’t bring pigs with them, as there were plenty of feral hogs in the woods, although hunting them was dangerous. Pigs, both wild and (later) domesticated) were the main source of pork, lard (both for shortening and for lamp fuel), and cracklings – those crispy bits that could be baked into bread. They ate mostly pork, usually cured. There was fresh meat in the late fall and early winter; otherwise the meat was salted or smoked to preserve it. Jesse Green tells of how his mother salted and smoked the breasts of hundreds of the prairie chicken which he and David killed. They had plenty of fruit: mulberries, raspberries, wild strawberries, blackberries, crab apples, pawpaw, persimmons, wild cherries, wild grapes, wild plum, ramps, and may apples were common in Illinois, although probably not all of them were found right here. There were many varieties of nuts: beech, chestnut, hickory, walnut, hazelnut. Most nuts were fed to hogs, not consumed by people. There was no white sugar available, so food was sweetened with honey or the sap of the sugar maple, which was collected primarily to make sugar, not syrup. They made a coffee substitute from parched corn, ground in a coffee mill, and made tea from sage or wild sassafras. Within a few years of their arrival they would have been growing wheat, buckwheat, corn, sweet corn, pumpkin, beans, soybeans, potatoes, apples, and peaches. They would have planted herbs, both for cooking and for their medicinal uses. Lemon balm was good to relieve feverish colds or headache; thyme tea mixed with honey was good for a sore throat, coughs, or colds; lavender was good for headaches, fainting, and dizziness. Most kitchens would have had a few large pots, some hand-hewn wooden bowls, a dipper made from a gourd. Most dishes were either fried in lard or simmered/boiled in water. For slow-cooked dishes of beans, greens, potatoes and other thrifty ingredients, salt pork was used for flavoring. The staples were meat, cornbread, and cornmeal mush. 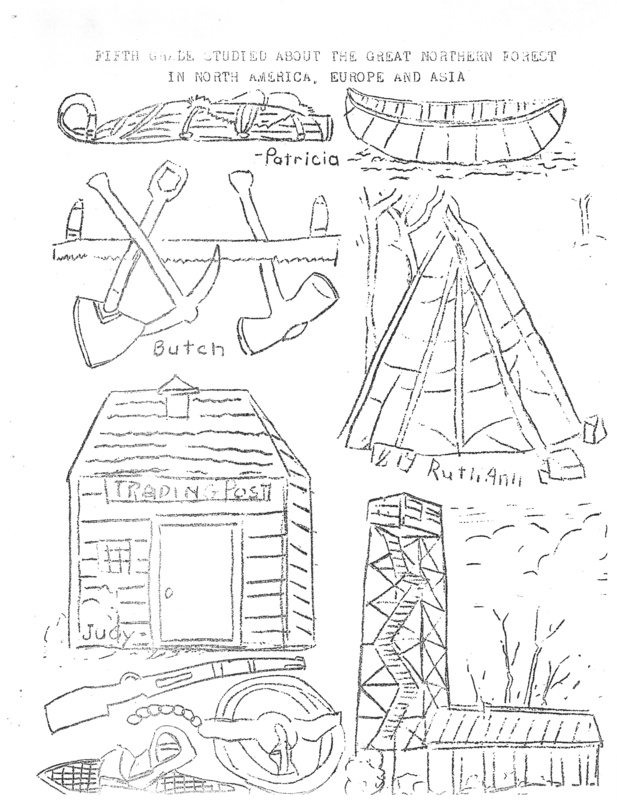 The time required to start a fire in the morning and get a meal cooked meant that there was one substantial meal a day, eaten at mid-day, with leftovers for supper. Breakfast would be mush or pancakes. Cooking would be done in the fireplace. The major difficulty was storing up enough food to last through the winter. Cabbages, onion, and turnips could be stored for a time in the root cellar, but large quantities of cucumbers, cabbage, eggs, and pigs feet were pickled to preserve them. Fruit was dried or bottled in a thick syrup. Meat was smoked, dried, or salted. The teachers wish to thank all those who helped with the decorating, stage or equipment used in presenting the annual Christmas program. Mr. Debernardi built the fireplace and donated it to the school. Mr. and Mrs. Ohme helped with the decorating and the Directors erected the stage. Allan Holm is leading in the number of library books read and reported on. Before Christmas the first grade learned to write words pertaining to Christmas and made drawings to illustrate the words they had written. These were later combined into booklets. Congratulations! Mr. and Mrs. Trent on your thirty-fourth Wedding Anniversary, January 21st. On December 10, the Grammar room did square dancing. There were two sets of couples. A new dance was learned, a second worked on and an old favorite Pop Goes the Weasel enjoyed. Patrols for December were Vernon Dale, Larry, Shirley and Sheila, and for January are Patty, Carol, Richard and Allan. The job of a patrol is a responsible one, helping in the prevention of accidents, training in good citizenship and sharing in the responsibility of a well-run school. Gary Hackler suffered an injury at a recent P. T. C. meeting from falling on the stairs because of running on the stairs. He was taken to the doctor. Every child in the [grammar] room had part in the annual painting of scenes upon the windows for the Christmas season. Sketching is done free-hand then color filled in. This has become traditional in the school. This year the primary and intermediate rooms also painted their windows in keeping with the holiday spirit. The Dayton Grade School presented the annual program at the Club House on December 22. All the pupils took part. The sacred pageant was given by the grammar room assisted by the other rooms in chorus numbers. The pageant was “No Room in the Inn.” Santa Claus was there. Santa and the eighth grade pupils passed out candy and gifts. On the 21st. 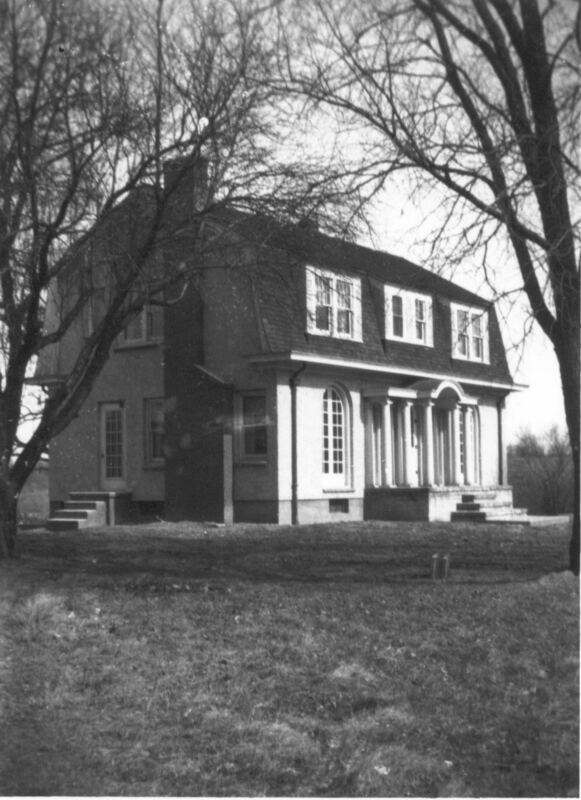 of December parties were held in each room at the school. Films were shown, a student gift exchange was held and refreshments were served. The gift table was centered with a miniature Christmas tree and red candles. Each child received a gift. Cookies were brought for the grammar room refreshments by Eddie Peters, Sandra Leonard, Terrance Hiland and Shirley Harmon. The teachers presented Mrs. Mathews with a poinsetta plant at the party. Mrs. Dean Ramsey and daughter, Norma, are staying at the home of Mr. and Mrs. Garrett Arwood. Norma is in the first grade, she formerly attended school in Pontiac. Visitors in Dayton on January 16 included the Eugene Davis family of Maywood. Mr. and Mrs. Robert McQuattee visited at the Harmon home recently. The home recently vacated by the Eirhart family is now occupied by the Grieves family. Larry and Marjorie are enrolled in the school. Mr. and Mrs. Eugene Davis and family visited the Ted Wilson’s early in December. Mr. Peters and son, Eddie, went to Aurora early in December to get Christmas shopping done early. The Pinske family have a new 21 inch Westinghouse television set. December 18 –Red Letter Day! All pupils in the grammar room got 100 in spelling on the work of the 14th unit.